Connect with us on social media to get the latest updates and news! 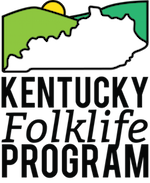 Join us in celebrating Kentucky folklife by using the hashtag #kyfolklife in your social media posts celebrating traditional arts and folklife throughout the Commonwealth. Also, make sure to sign up for our monthly newsletter.